TP-Link just came out with their answer to the mesh networking trend, and you can get three Deco M5 routers for just $200 today with promo code 50DECO. By virtue of being new, these don’t have as many reviews as, say, Eero routers, but $200 for a three-pack (enough to cover a 4500 square foot home, according to TP-Link) is a pretty stunning price compared to similar products on the market. Today, you can get a complete set of six containers (flour, brown sugar, powdered sugar, coffee, and two mini containers) for $49, an all-time low. Today’s deal is about $25 less than usual, so lock in your order before this sale cools down. Power tools make great Father’s Day gifts, and you can get four Black & Decker 20V tools for just $99 on Amazon. That gets you a drill/driver, a circular saw, a reciprocating saw, a work light, and two batteries to run them. Needless to say, that’s an all-time low. 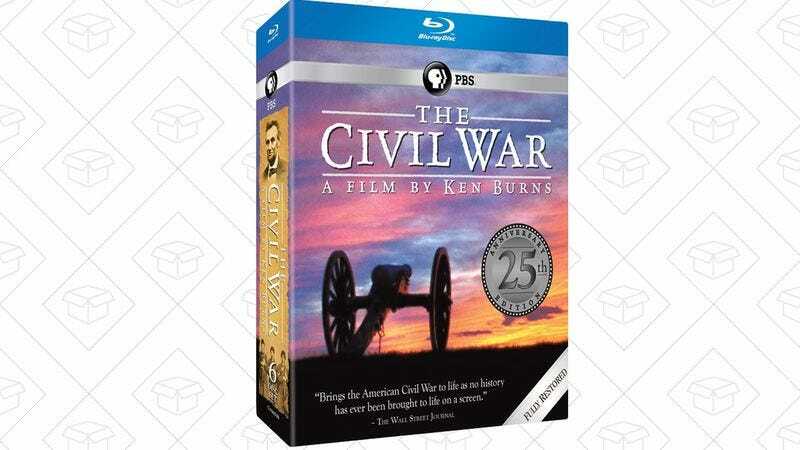 25 years later, Ken Burns’ Civil War documentary series still stands as a seminal work in documentary filmmaking, and the remastered Blu-ray is marked down to $57 today on Amazon, an all-time low. That gets you six discs and 700 minutes of content, including a new making-of featurette.